Simon Cowell could become Justin Bieber's new neighbour as he's reportedly interested in buying a six-bedroom house in the same Calabasas community known as The Oaks. Simon Cowell is reportedly interested in buying a six-bedroom house in the Calabasas community known as The Oaks, where Justin Bieber lives. 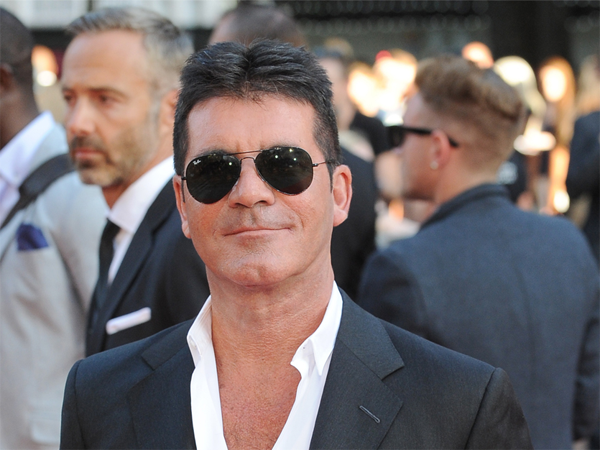 The X Factor boss is said to be in talks with an estate agent to buy a six-bedroom, £5.4 million home in Los Angeles for his new family, but the house is in the gated community of Calabasas known as The Oaks where the Baby singer is known for throwing wild parties at his own mansion. A local resident said: "You have to wonder whether Simon's people are even aware that Bieber lives in the neighbourhood. "If he does move here with his family, he should know that the kid is a non-stop menace when he's in residence, throwing all night parties with his pals and generally wreaking havoc." Incidents at the 20-year-old pop stars home include arrests for drug possession and throwing eggs at neighbours properties, but Simon - who recently welcomed his first child, Eric, with girlfriend Lauren Silverman - is said to be unaware of who his future neighbour could be. A source told the Daily Star newspaper: "He was apparently very excited when they sent him the details of The Oaks estate. "But no one mentioned the fact - perhaps because they didn't know - that Justin Bieber will be one of his neighbours."